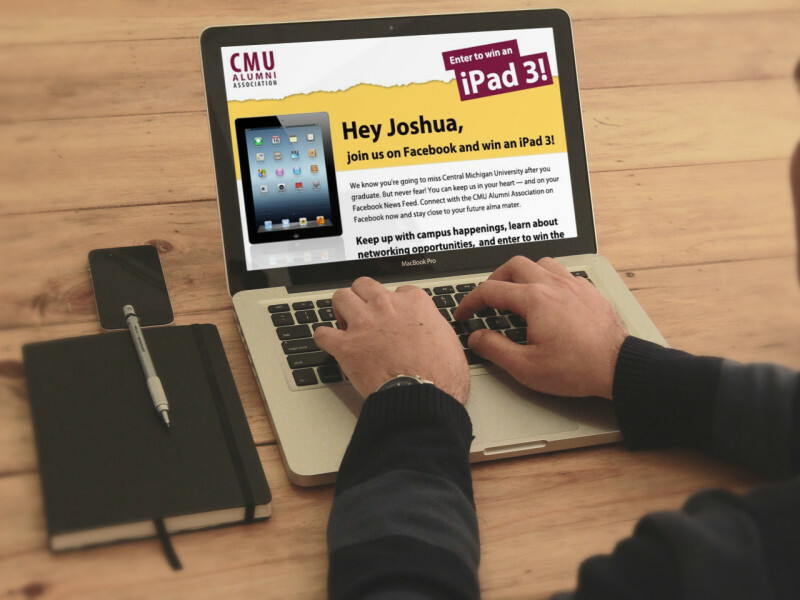 CMU was looking for a way to connect as many graduating seniors as possible to the CMU Alumni Association Facebook page before they moved on from campus. They also wanted to build consideration for engraved brick donations through Make Your Mark, an annual senior gift program that raises money for scholarships. CMU’s Senior Connect Campaign aimed to capture graduating seniors, connecting nearly half of the graduating class to the CMUAA Facebook page. This connection is vitally important to keeping in touch after commencement, when home addresses, jobs, and email addresses change frequently. CMU was also able to secure an all-time record of over 400 donations for their Make Your Mark campaign. Graduating seniors are busy people. Between exams, parties, and making plans for the future, their bodies (and brains) are in constant motion. But they’re also at a crossroads that fills them with affection for their soon-to-be alma mater. During their final weeks on campus, why not reach out and get them to connect with your alumni association? They’re still consistently checking their .edu email address, and their impending departure from the place that forever shaped their lives makes them want to draw it closer than ever. Arizona State is one of the largest schools in the United States and with more than 300,000 alumni actively using Facebook. The university was searching for a way to learn about things their alumni care about, engage alumni and capture data such as updated contact information. 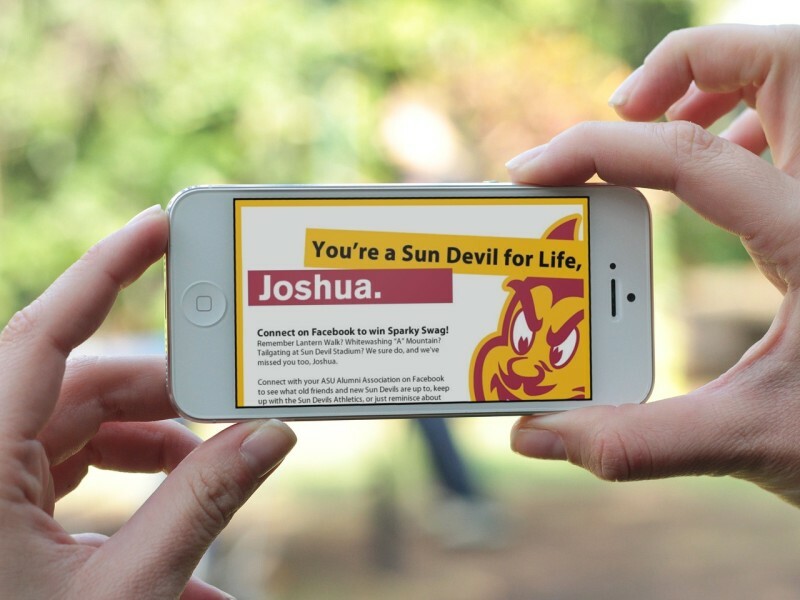 During their Alumni Reconnect campaign with MSM, ASU alumni uploaded school spirit photos via a Facebook app, and fellow alumni voted on which one they liked best. Alumni were incentivized to participate with university branded prizes. MSM was able to increase the ASUAA’s Facebook audience by 63% in 30 days, and the photo app generated more than 168 photo entries. Like other small schools, the University of Baltimore Alumni Association found small college marketing to be a challenge. The UBAA was looking for ways to reach their more than 59,880 alumni using social media and digital channels. 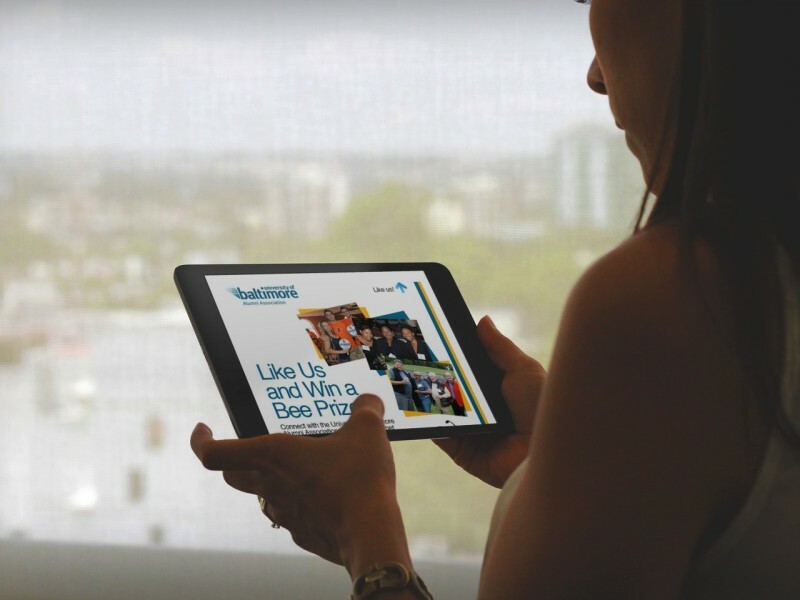 With smaller budgets and smaller pools to pull funds from, the UBAA found social media to be an inexpensive and effective tool in small college marketing. Their goals were to increase the number of alumni attached to their Facebook page and capture fresh data. With fresh data like email addresses, UBAA was able to get back in touch with previously lost alumni. In a 30-day engagement campaign that gave away University of Baltimore branded gear including T-shirts, hats, bumpers stickers and other goodies, MSM was able to help the school capture more than 477 contact information updates and add 3,062 new members to their Facebook page. 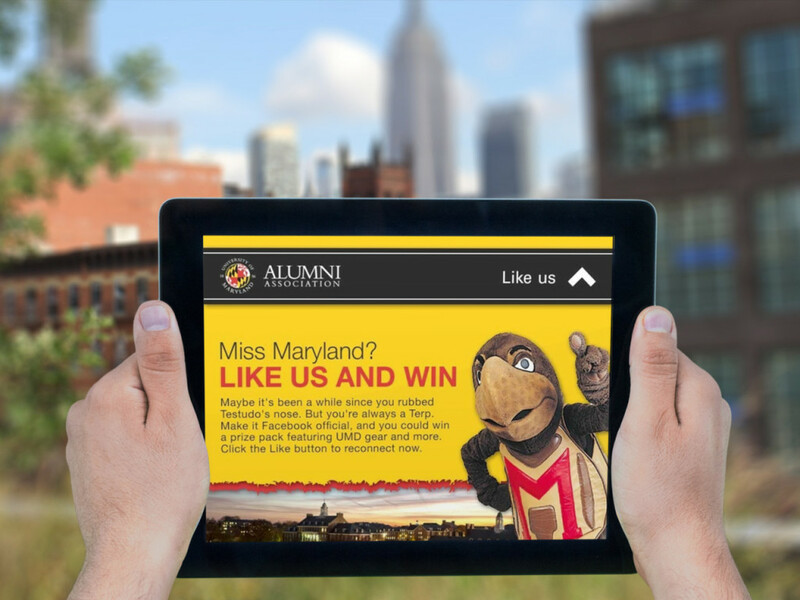 The University of Maryland’s Alumni Association was looking for an easy way to use social media and emails to engage and reconnect with alumni while capturing up-to-date contact information. 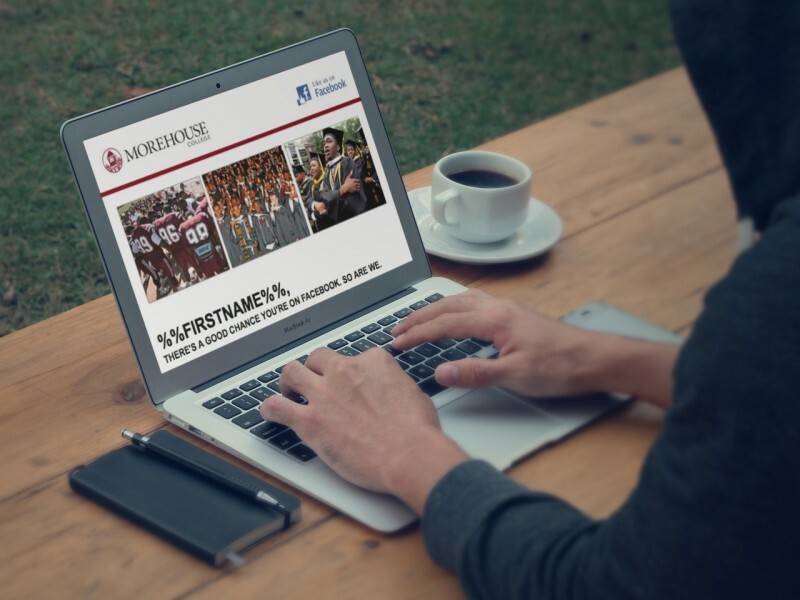 During a 30-day Alumni Reconnect campaign with Maryland, MSM achieved a 24% email open rate and increased the alumni association’s Facebook audience by 78%. One email saw a whopping 31,000 opens. Through this, the UMDAA was successful in capturing updated contact information, in addition to extra data the school can use to influence membership commitments. MSM’s university alumni marketing solutions for higher education are designed to maximize engagement by seeking out and connecting with alumni where they pay the most attention today — on Facebook. Facebook not only holds the single largest concentration of you school’s alumni; when executed properly, it also is the most cost-effective way to find, engage, and activate potential donors. To increase alumni Facebook engagement, the University of South Florida Alumni Association wanted to reach out to their alumni base and bring them into the social environment. 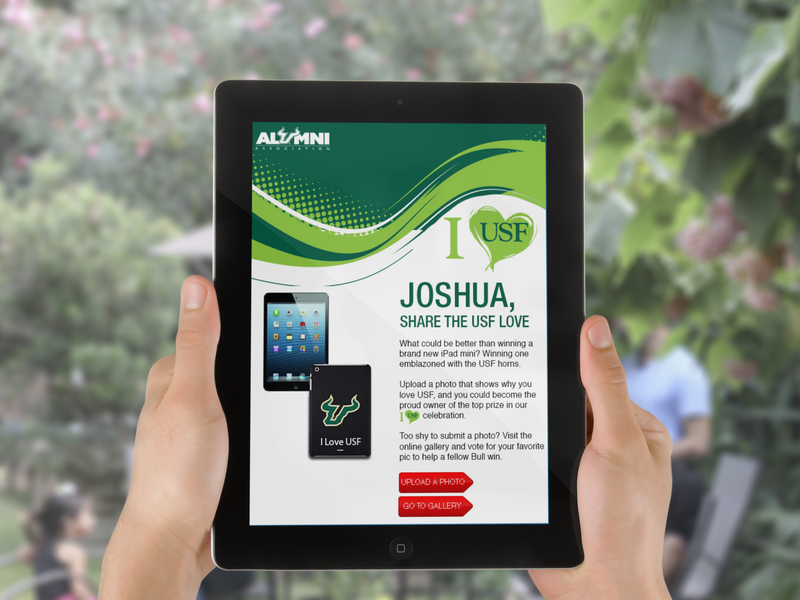 MSM helped build and execute the I ♥ USF campaign and photo voting app. The campaign centered around using digital and social marketing to increase alumni Facebook engagement and participation so that USF could find alumni ripe to become members and champions for the university. MSM exceeded campaign goals by reaching 179,000 alumni and friends. MSM’s Alumni Event Amplify program brings the excitement of your campus event to graduates who live too far away to attend. 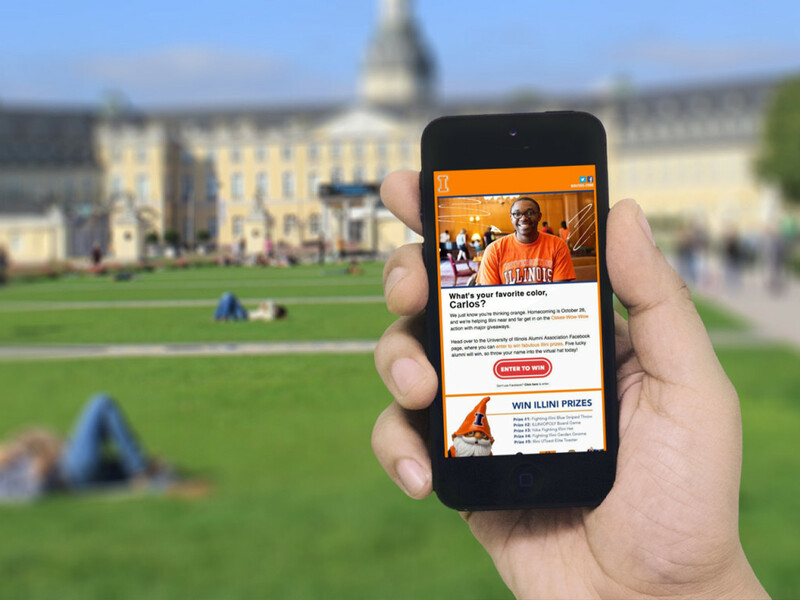 Increase alumni participation across the globe with a robust combo of email and social marketing tools. Throw in a giveaway or a photo contest, and you’ve got yourself a virtual pep rally. Your results will include more than warm fuzzies; you’ll capture the attention of lost grads and collect new data on those you know. With more than 450,000 living alumni, the University of Illinois Alumni Association was searching for a way to use social media and digital marketing to effectively reach out and engage with more of their alumni base. During Illinois’ 30-day Alumni Reconnect campaign, Facebook engagement significantly exceeded their expectations as page likes skyrocketed more than 400%. Post by University of Illinois Alumni Association.